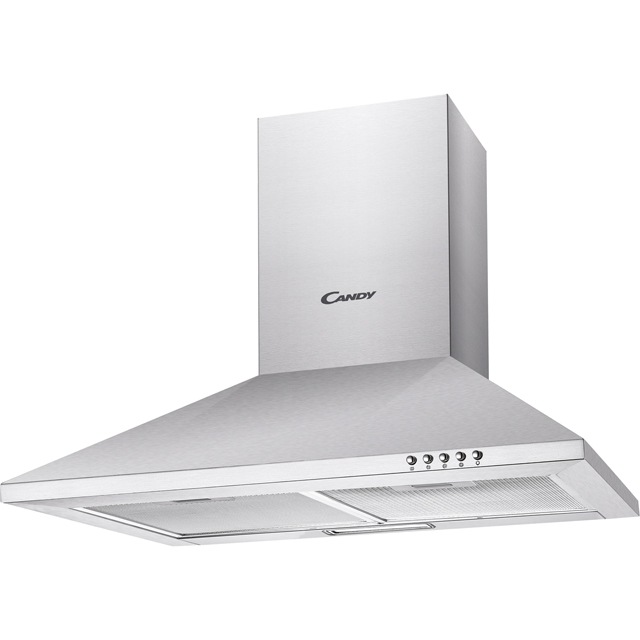 Leave your kitchen smelling fresh with this Candy chimney cooker hood. At 70cm wide it’s well suited to standard-sized hobs, and the maximum extraction rate of 305 cubic metres per hour means it’ll efficiently tackle odours in a small kitchen. With a medium noise level of 62dB, it’s only as loud as a dinnertime chat, so you can still listen to music while you prepare dinner. And if you’re cooking at night, you can just use the push button controls to switch on the built-in LED light, helping you keep a closer eye on your pans.